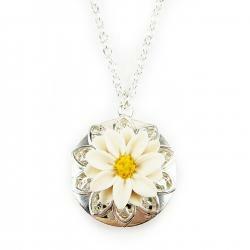 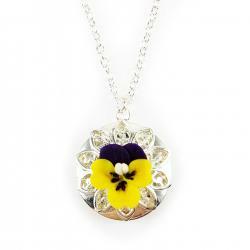 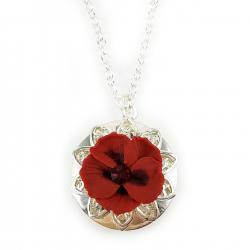 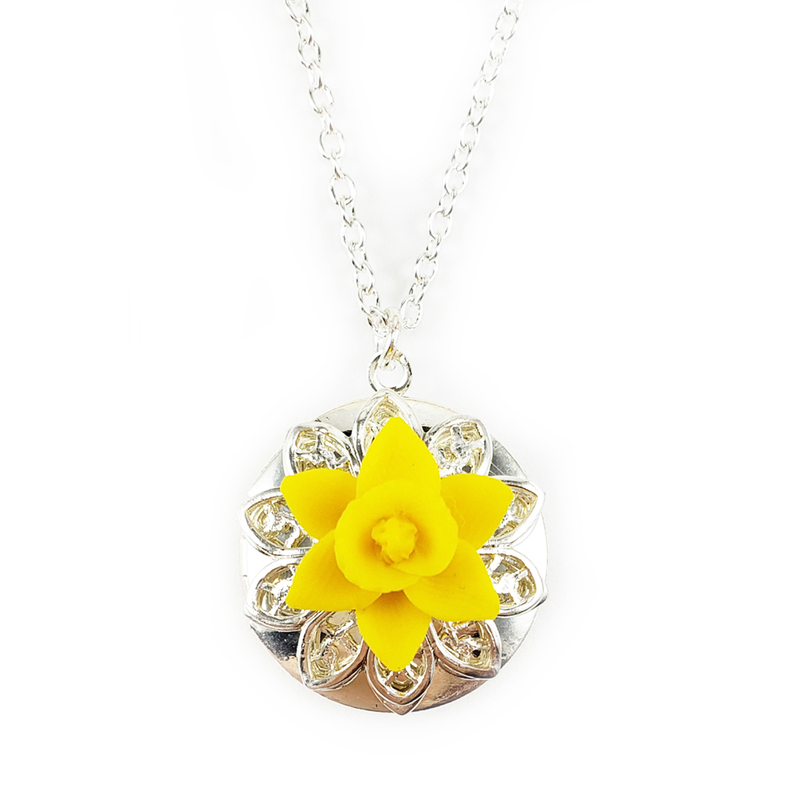 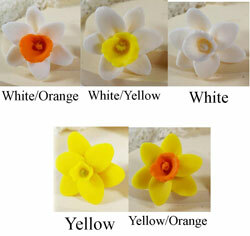 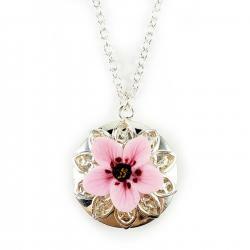 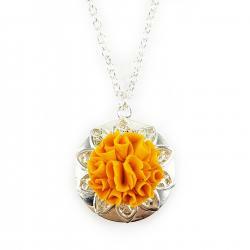 Springtime Daffodil locket necklace. 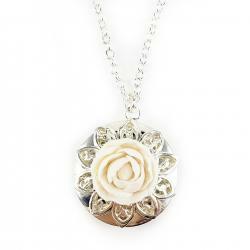 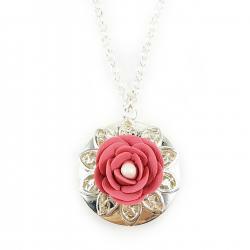 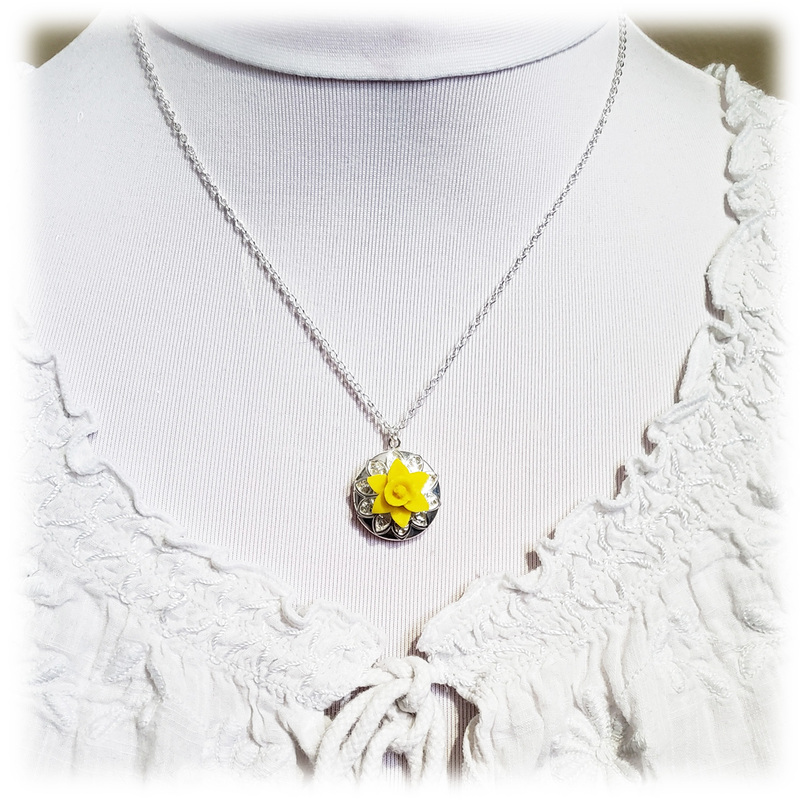 Add your treasured photos to this silver tone locket featuring a Daffodil available in assorted colors. 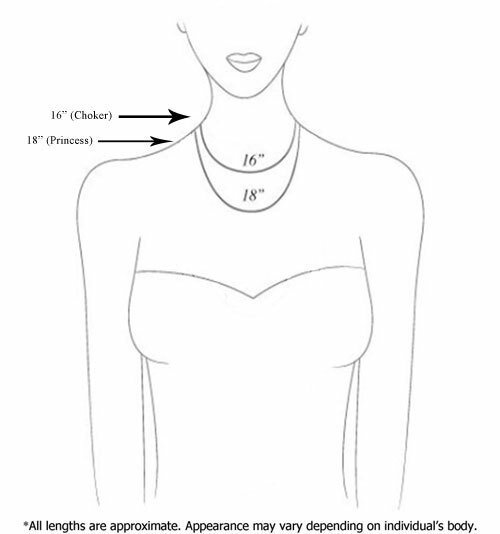 Filigree backdrop and matching cable chain available in assorted lengths. 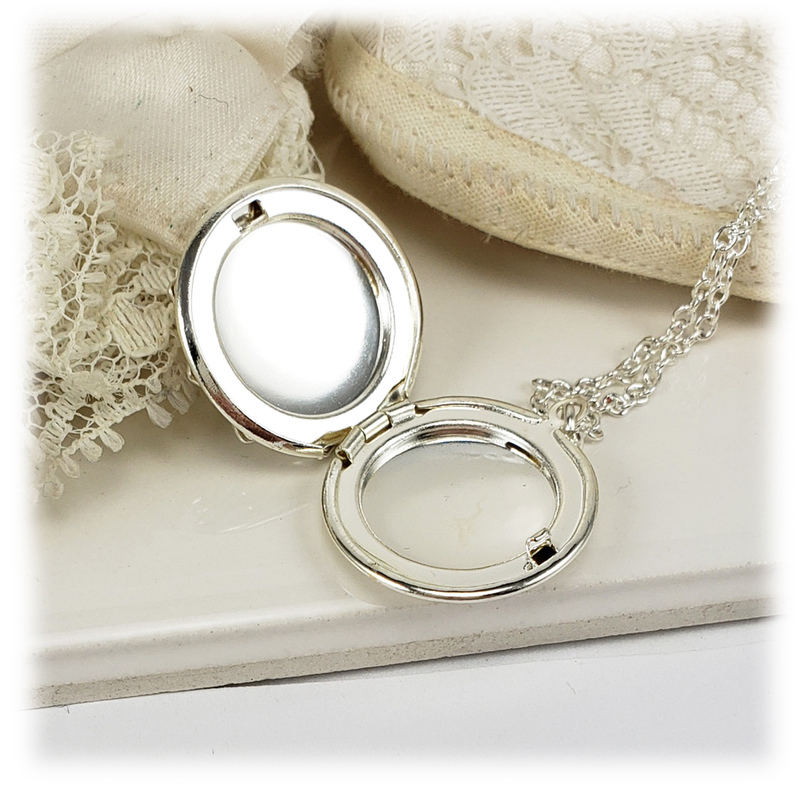 -Option to add a secret message inside the locket.